Associate Professor Stephanie Giamporcaro joined NTU as a Reader in Responsible and Sustainable Finance. She contributes to embed further sustainability within the DNA of the Business School at the postgraduate level through research and teaching notably around the theme of finance and investment. She is actively involved within the PhD program. Prior joining NTU, Stephanie Giamporcaro was associate professor and the research director at the University of Cape Town Graduate School of Business. Besides being in charge of the academic research agenda, she directed the PhD modular research course, which covers areas of organization and management studies and research methods. 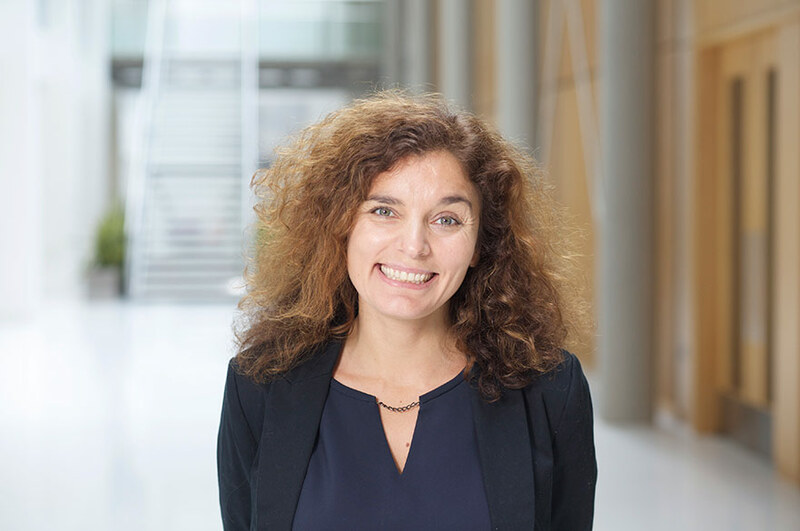 Prior to embrace fully an academic career, she was the head of SRI for the French think tank Novethic (2002/2008), subsidiary of the French Public Investment Group Caisse des Depots and was one of the leading experts on SRI management and strategies in France. Her industrial and practitioner experience has travelled with her across different continents and in 2013, she was nominated one of the 35 foreigners under 35-years-old making an impact on the continent of Africa. Following her move to South Africa, she produced not only in top tier academic journals but also several policy papers and impact research notably during her post doc and research fellowship at the University of Cape Town School of Economics (2009/2011). In 2006, she obtained the highest honour and mention a PhD in Social Sciences at the University of Paris V France. Her research focuses, on applying the theoretical insights from the anthropology of markets, French pragmatist sociology, economic sociology and organizational theories to the study of sustainable and responsible investment (SRI) amongst others emerging and innovative social phenomena. She has edited a book in French on Political Consumption and wrote several book chapters on sustainable and responsible investment. She has and a number of peer-reviewed research articles in top-tier academic and practitioner journals including: OrganizationStudies, Journalof Business Ethics, Journalof SustainableInvestmentandFinance, Investment Analyst Journal, and Development Southern Africa. Associate Professor Stephanie is regularly invited to teach on MBAs and executive education courses around sustainable, responsible and impact investment. She is a member of the Jury of the FIR prize that identifies the best European responsible and sustainable academic research of the year. In collaboration and funded by the acclaimed Bertha Centre for Social and Entrepreneurship she is the director of publication of the Africa Investing for Impact Barometer. This impact research publication targets the investment industry, policy makers, media and civil society to effect change and practices in the implementation of SRI and impact investment strategies in the African continent. As one of few experts in the field, investment industry researchers and practitioners and the media often consult her expertise of SRI in Africa. This has led to awarded grants and projects with NGO, governments, and industries. Calculability as Politicsin the Construction of Markets: The case of Socially Responsible Investment in France. Organization Studies. DOI: 10.1177/0170840615604498. Giamporcaro and Gond, S (2016). Organization Studies is included in the FinancialTimes 45 list· Desjean, F. Giamporcaro, S. Gond, J-P. Leca, B. Penalva. E. (2013). Mistaking an Emerging Market for a Social Movement? A Comment on Arjaliès' Social-Movement Perspective on Socially Responsible Investment in France. Journal of Business Ethics, Volume 112, Issue 2, January 2013,p205-212.Journal of Business Ethics isincluded in the Financial Times 45 list This article won the Fondation Dauphine publication prize 2013 This article won the GSB Best paperaward in the FT45 category in 2014· Giamporcaro, S & PretoriusL (2012). Sustainable and Responsible Investment in South Africa: a limited adoption of environmental criteria. Investment Analysts Journal, May 2012 Issue No.75 pp17-35.· Hamann, R. Giamporcaro, S.Yachkashi, S.Johnston,D. (2011). On the role of business and crosssector collaboration in food securityin South Africa. Development Southern Africa Journal, SeptemberIssue.· Giamporcaro, S. (2011). Sustainable and Responsible Investment in emerging markets: integrating environmental risks in the South African investment industry., Journal of Sustainable Finance and Investment, second quarter 2011.Book§ Giamporcaro, S. (2010). L’investissement socialement responsable entre l’offre et la demande : Analyse et enjeux de la construction sociale d’une épargnepolitique. Sarrebruck : Editions Universitaire Européennes§ Edited by Ferrando y Puig, J. & Giamporcaro, S. (2004). Pour une autre consommation, Sens et Emergence d’une consommation Politique, Paris : L’Harmattan.Book Chapters and others· Giamporcaro, S, (2015). Responsible Investment in France.The Routledge Handbook of Responsible Investment. Edited by Hebb,T Hawley, J-P; Hoepner,A ; Neher, A and Wood,. Routledge Publishing group, p262-276.· Giamporcaro, S and Viviers,S, (2014).